Elicit Docklets are your way to access the services you use everyday to create content without having to leave Elicit's Entry Editor. 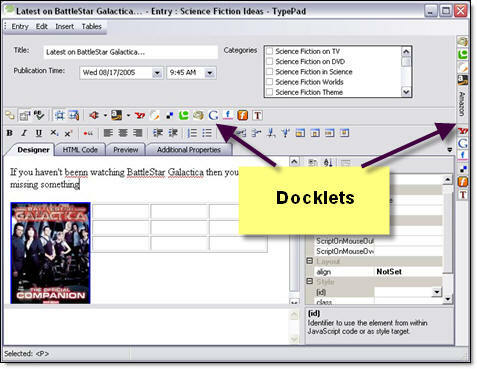 Drag & Drop content (links, pictures etc..) from the Docklet into Elicit's content editor. Give Elicit a try and start using these services today. What to see docklets in action? 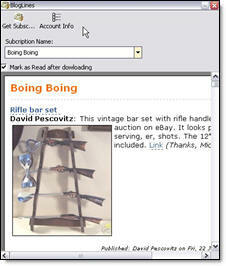 Check out our demo "Blogging Doom". 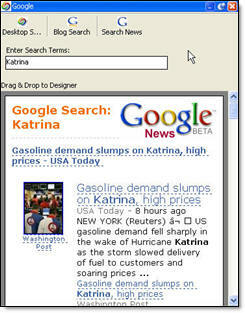 Bloglines is a FREE online service for searching, subscribing, creating and sharing news feeds, blogs and rich web content. 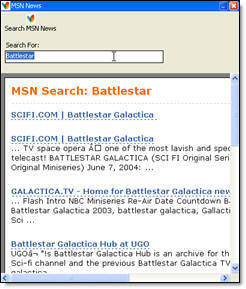 Search your PC desktop for things you've downloaded or e-mailed. Search and browse 4,500 news sources updated continuously. What are people talking about right now? 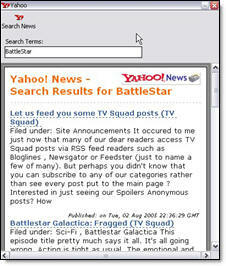 Opinions, events, reviews, your company, you! Your personal favorites from any computer. 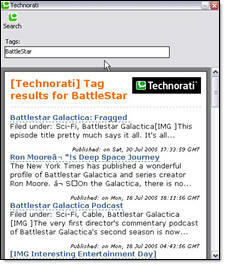 del.icio.us is a social bookmarks manager. 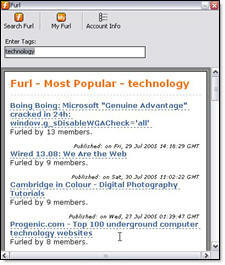 It allows you to easily add web pages you like to your personal collection of links, to categorize those sites with keywords, and to share your collection not only among your own browsers and machines, but also with others.